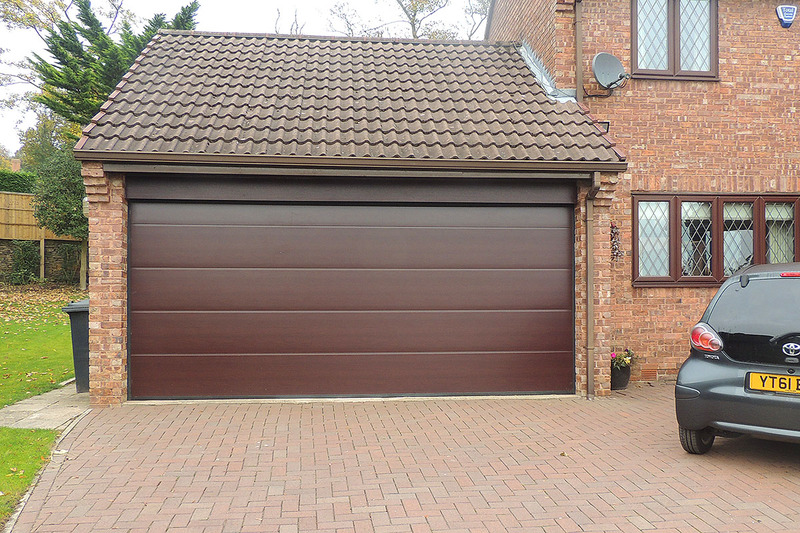 Sectional doors are vertically opening, fully insulated (thermal & sound insulation) and come in a variety of styles – Ribbed designs - S-Ribbed (small), M-ribbed (medium), L-Ribbed (large), Georgian panel in either a woodgrain or smooth finish and a microwave woodgrain panel. 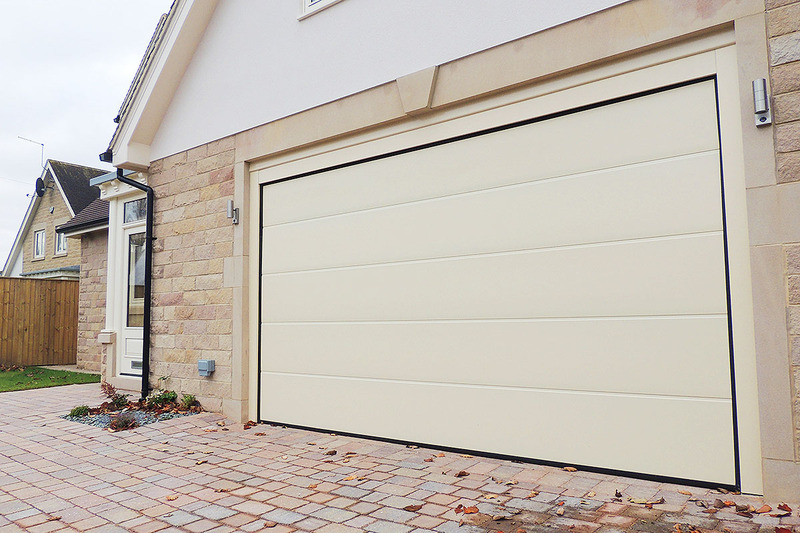 All Sectional doors are available in white and a range of colours (standard, RAL and wood effect colours (Golden Oak, Dark Oak or Rosewood). Sectional doors are ideal for short driveways, as you can drive right up to the door and still be able to open the door without backing your car away from the door. 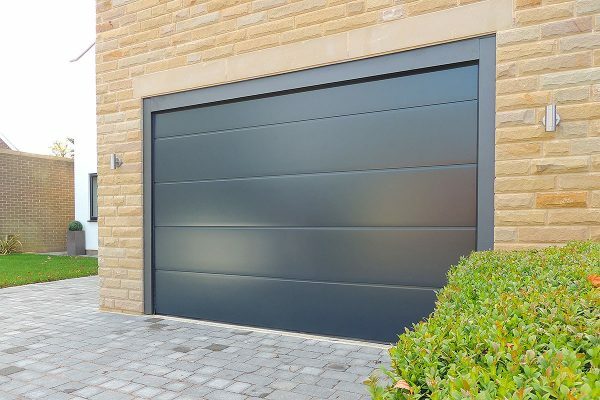 The doors come with a choice of glazing options and can come with a built- in wicket door, which allows you to enter into your garage without having to open the garage door saving you time and effort. 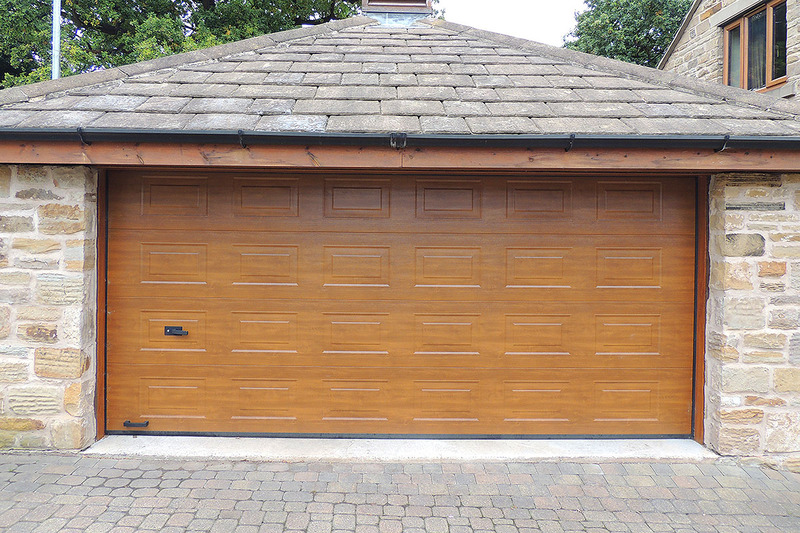 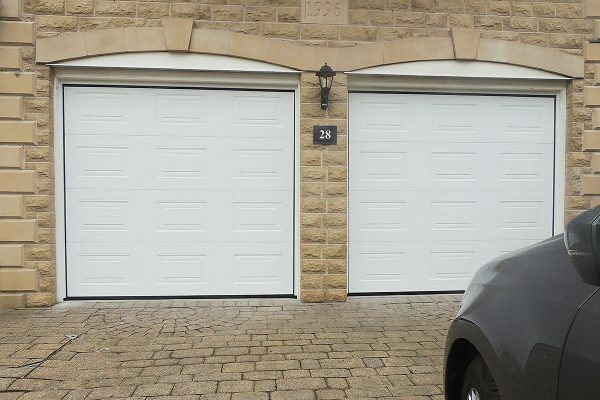 Matching side doors (to open to the left or right and open to the inside or the outside of the garage) can be installed, perfectly complementing each other.